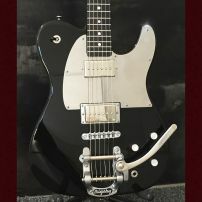 commented on "A sleek, black Fender Tele, Elite series with Silver Nova guard Telecaster Roller Bridge and Bigsby"
Roger from Massachusetts has kindly shared with us his customized tweaks to his sleek Tele Elite. 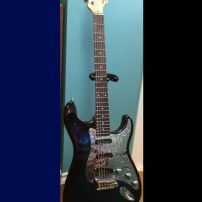 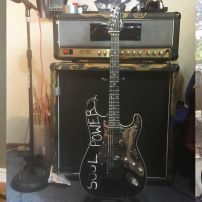 commented on "Soul Power Tom Morello Strat Super Mirror Stainless Pro Steel Pickguards Fender Stratocaster Guard"
Rob's Soul Power, a tribute to the weapon behind the riffs and melodic power of Audioslave's unforgettable sonic anthems. 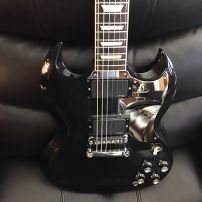 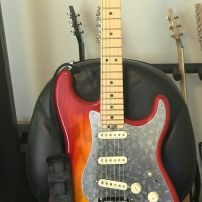 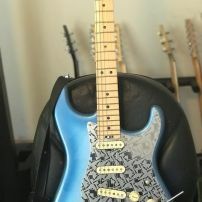 commented on "Fender Stratocaster from Gregg in Georgia with Blitz No.3 guard carved from mirror stainless steel"
This Strat is a good example of a unique and unmistakable transformation into a truly custom guitar. 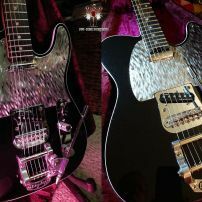 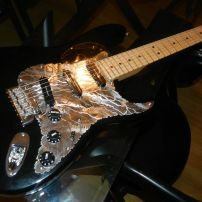 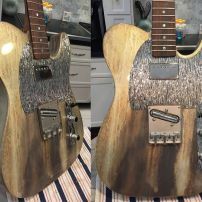 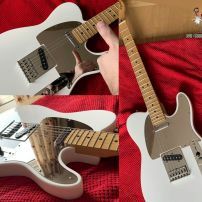 commented on "Custom Build Telecaster from Brad in Houston with Silver River Tele Guard Control Set"
commented on "A superb Tele from California, Peter's custom black Telecaster with the new Jim Root HH Super Mirror"
This is what custom is all about, making your instrument just the way you dreamed of.